Cute! I love the way you collaged the layers, nice! love your tag!! So pretty!! 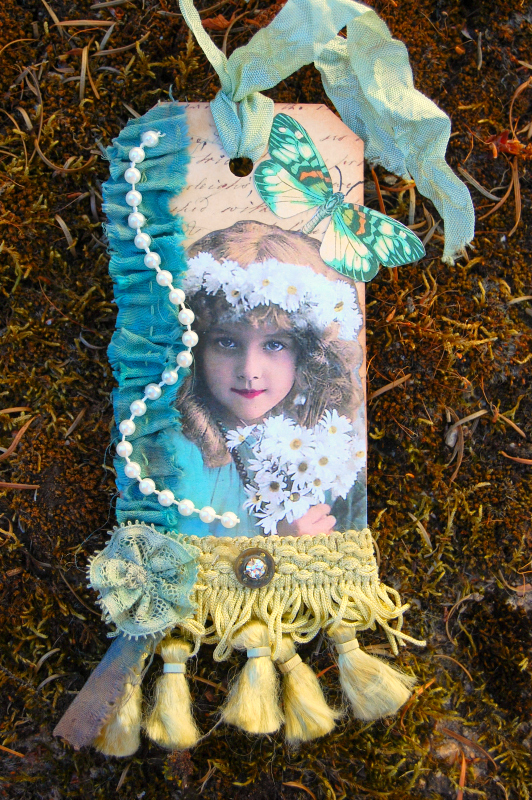 Your tag is so very beautiful, Liz! And I love the color! Happy weekend! What a sweet little tag Liz!!! Beautiful details! This is a sweet tag Liz. I love colour too, but I think my colours are MUCH brighter. My house is in neutral tones, but colour makes me feel happy while I am working on it.It brings out my playful, child self I think! Vidunderligt og farverige. Knus morkaren. Your tag is just adorable,dear Liz. Ein brilliant gearbeitetes Tag, voller Romantik. Danke für deine Besserungs-Wünsche zu meiner ledierten Schulter. Die Sehne ist angerissen, was sehr schmerzhaft ist. 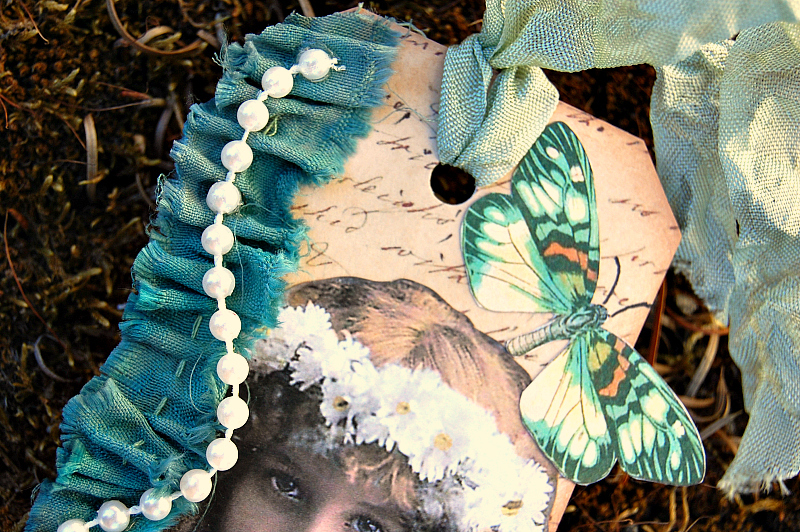 What a sweet tag dear Liz and in your favorite colors of greens and blues. I love the sweet butterfly and tassel fringing too of course! Hope to catch up soon! We've been touring across mountains and down to the coastal waters having a wonderful short break. I do love your colorful tags as much as the monocramatic tags! 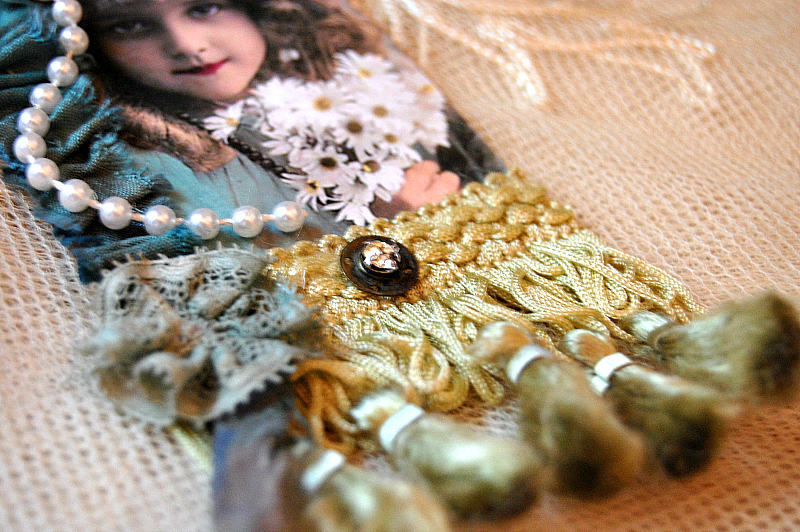 Your eye for embellishments is wonderful, and I am glad I found your blog! I have been buzy buzy and have pictures and will have more pictures for you! 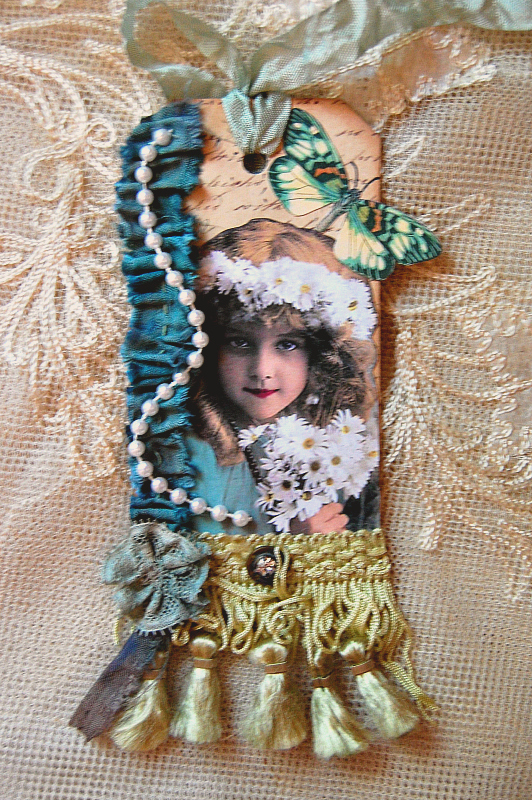 Liz-- you have such a talent for blending colors so beautifully-- your newest creations are stunning. I love the aqua blue color-- it's such a happy color!! Beautiful color and beautiful photography. Love it. Hi Liz, I love this tag. I'm enamored by these colors too. The images are so pretty and go beautifully together. I also LOVE the idea of a craftavan! 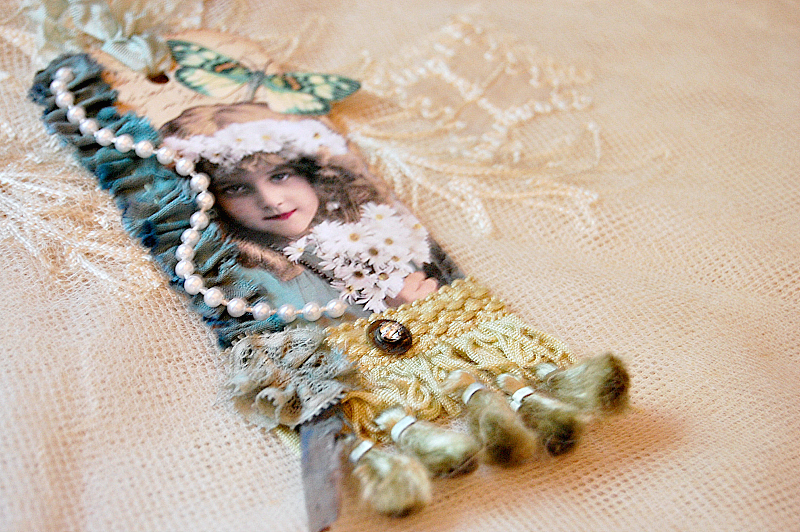 Hello Liz, good to see your beautiful tags, I still have the one you sent me with an order. Wunderschön dein Tag meine Liebe!